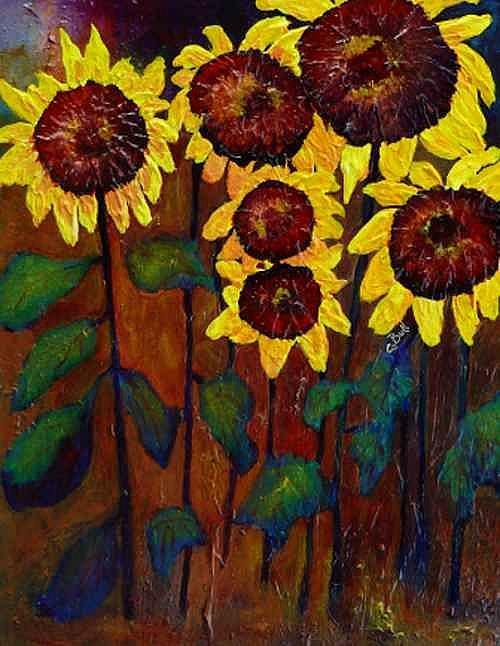 Six sunflowers popping up on 11 x 14 canvas to say hello. Original acrylic art by Claire Bull. Prints, cards and reproductions on canvas, paper, acrylic and metal surfaces available through my website Claire Bull Gallery.